Pre-heat: One of the best ways to start off your grilling adventure, is to let it the BBQ have time to pre heat so you hit exactly the right temperature. Try to give the grill about 10 minutes or so to get the heat going before you start cooking. Indirect Vs. Direct: If you can’t decide which heat is better for the food your cooking, use this handy tip to remember what’s best! If the food you are grilling takes more 20 minutes, use indirect heat. If the food needs under 20 minutes, use direct heat for better results. Grill Prep: Before you put anything on the grill, give it a good clean to remove any leftovers that may be stuck on. The best way to do this is to pre heat the grill and run a BBQ brush over the grates leaving it clean and ready for you to cook. Burger Talk: If your favorite food item to cook is burgers, don’t cook your next batch without this quick tip! When the raw hamburger patties are prepared, press a small indent with a spoon or your finger into the middle of the burger. This will prevent your patty from puffing up and will keep all your burgers the same size and level. 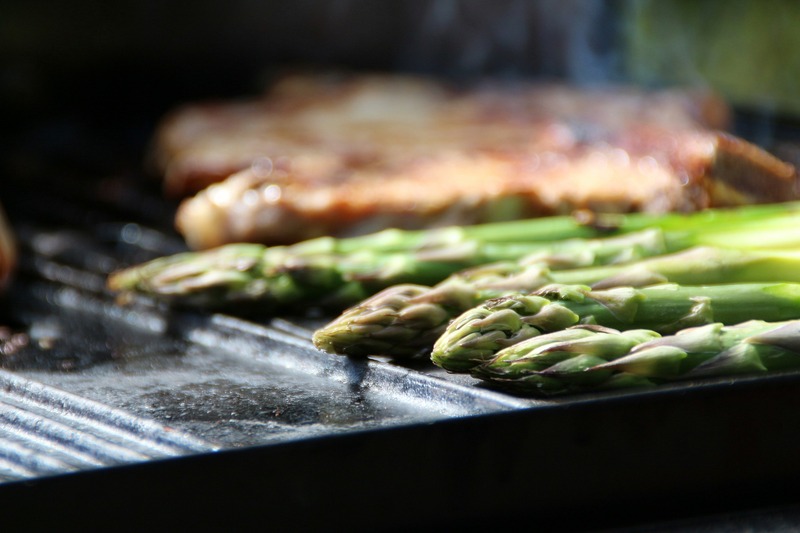 Grilled Vegetables: If you love grilled vegetables, make sure to give them a good coating of olive oil before grilling. Either toss them with olive oil lightly or drizzle it over top. Doing this will prevent your vegetables from burning and sticking to the grill. Sauces: If you are adding any sauces to your meat while grilling, make sure to apply it closer to the end of cooking. Try to apply the sauce no more than 20 minutes to avoid drying out your meat or vegetable of choice! Flare Up: If the flames in your barbecue start to get too high or out of control, avoid using water to extinguish the flame. If this happens while your grilling, quickly shut the lid to your grill to snuff out the flames. Rest: Last but certainly not least, when you are cooking meat on the grill don’t forget the one step at the end that makes the meal! Let your meat rest for 7-10 minutes to ensure the juices have enough time to redistributed throughout the meat.